New in theaters June 2, 2017 "Captain Underpants: The First Epic Movie" and "Wonder Woman"
“Captain Underpants” is a funny film but with a few restrictions. There are several story line changes during the film, but it's all at top speed giving the audience the feeling the film suffers from a cinematic form of ADHD. 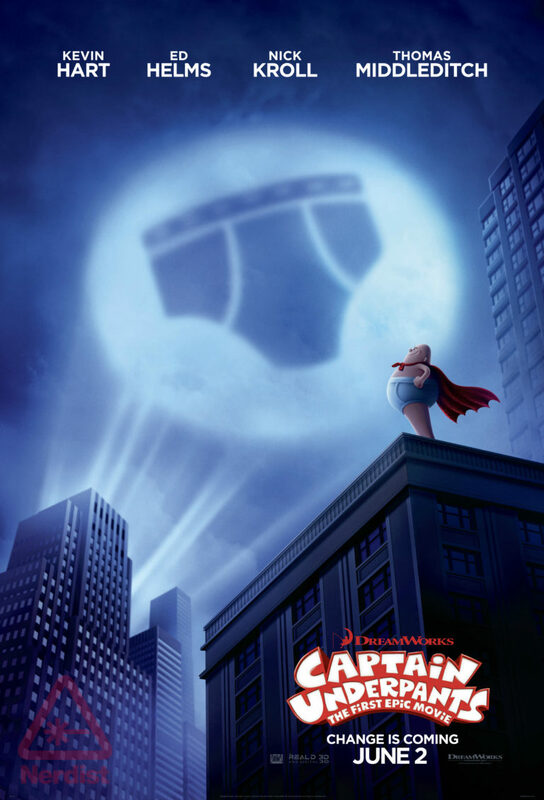 “Captain Underpants: The First Epic Film” is a harmless film to take your kids to, but nothing in this animated movie ends up memorable. Check out the thousands of titles of children's and family films at www.dvd.netflix.com. Join up and get your first month free! Gal Gadot is Princess Diana, who rescues a WWII pilot when he crashes in the waters of the coast of her hidden and mythical Island. The downed pilot, Steve Trevor (Chris Pine), tells her of the war that's being fought and Diana begins to realize her true purpose. She leaves her island with Trevor to begin a battle against evil deeds. 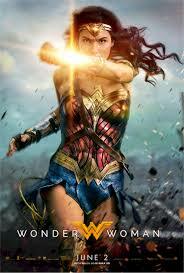 “Wonder Woman” is a rip-roaring, action adventure and exactly what comic book films should be, exciting, fun, humorous and touching. Gal Gadot is perfectly cast as the Amazon warrior. She is a fearsome fighter who never loses her femininity. It is a perfect balance she gracefully maintains. Also well-cast are the supporting characters including Chris Pine as the steadfast Steve Trevor. Pine delivers a terrific turn as Wonder Woman's guide into the world beyond her peaceful island. “Wonder Woman” is a true summer blockbuster delivered with all the trimmings. If you haven't seen the 1975 TV Series with the original "Wonder Woman," Lynda Carter, it's at www.dvd.netflix.com right now!